So it’s very much predictable that we put McDonalds Next in our itinerary. 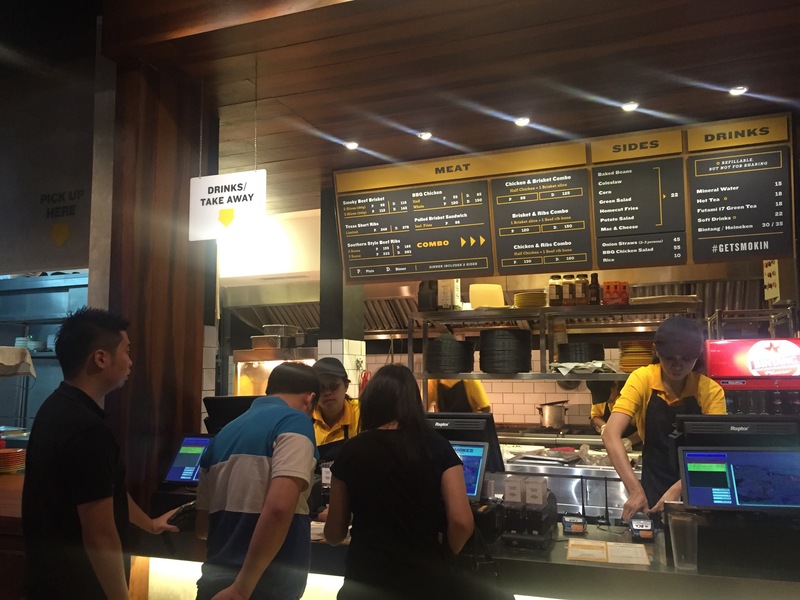 It is located in Admiralty MTR station, which is just 1 station away from Wan Chai – where we were staying. So, we went there for dinner on our second day. That Tuesday was not an ordinary one. I had two meetings in two different locations; each far from each other. Knowing Jakarta and its traffic, you must imagine that it was not a pleasant day for me. At first. Not until I managed to reach Jl. Wolter Monginsidi despite its dreadful traffic to eat at this newly opened restaurant. 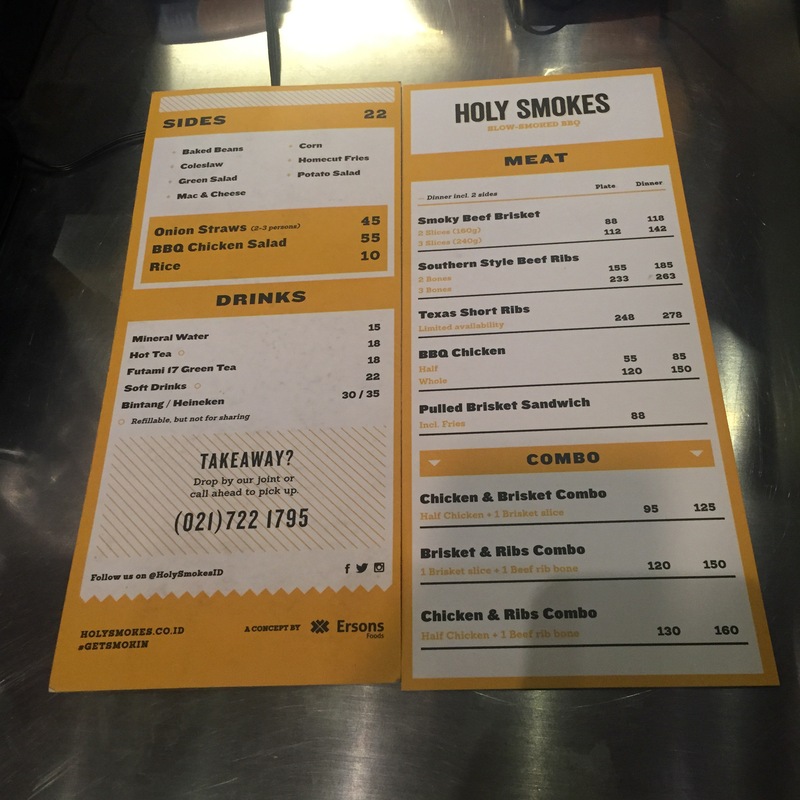 Yep, Holy Smokes is located at the corner of Jl.Wolter Monginsidi, very close to KFC. With the undergoing construction, that road is hell-ish during weekdays, especially dinner time. It took me 2,5 hours to get there from Gatot Subroto area. Crazy right? So, I arrived there feeling cranky and very tired. I greeted my friend who have waited an hour for me (sorry! ), and she told me to order at the cashier counter. I was then greeted by a friendly staff and browsed the menu. My choice that night was Brisket and Ribs Dinner combo for IDR 150K. 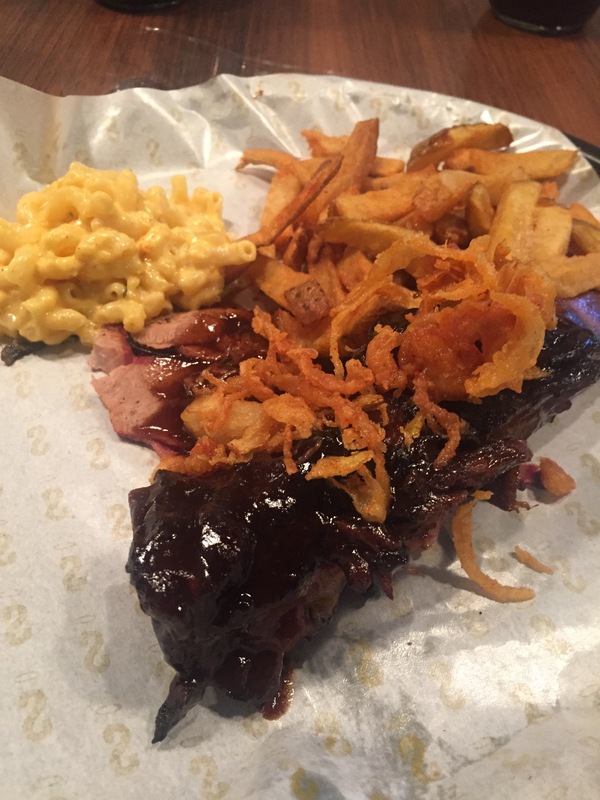 It includes 1 slice of brisket, 1 piece of rib bone and 2 sides. I chose Mac & Cheese and Homecut fries for the sides. I also ordered bottomless softdrinks for IDR 22. Overall it was a quite pricey dinner for just myself, but I decided to give my bank account (and tummy, of course) a break that night. Finally, after around 15 minutes of waiting, my food was ready!! I was called using a remote buzzer and made my way to the pick up counter immediately after it buzzed. I was so excited! (mainly because I was hungry hahaha). Judging only by the looks, the meal looked very promising. The meat looked tender and juicy. Even the sides looked appetising. Guess what, MY MEAL WAS BOMB. Sooooo goood! Like predicted the meat was juicy, perfectly smoked. 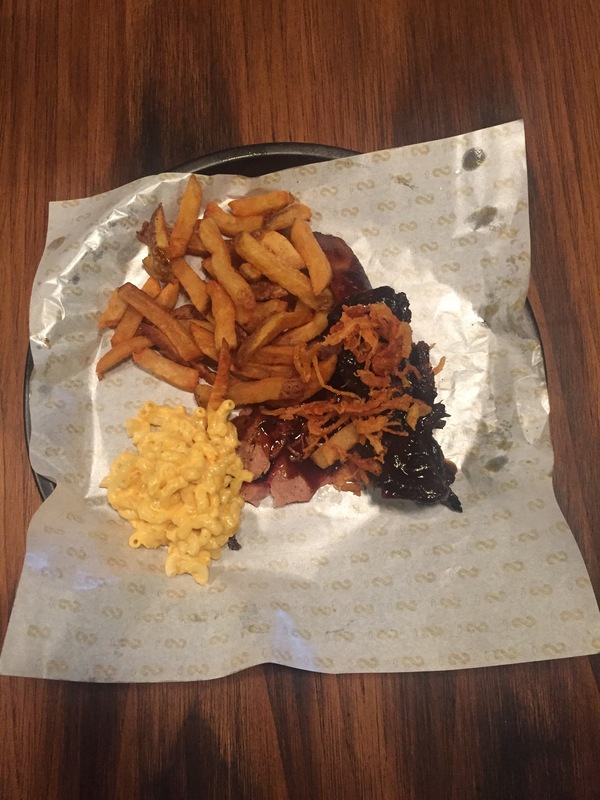 The BBQ taste was apparent in the perfect amount. Not too heavy, not too soft. 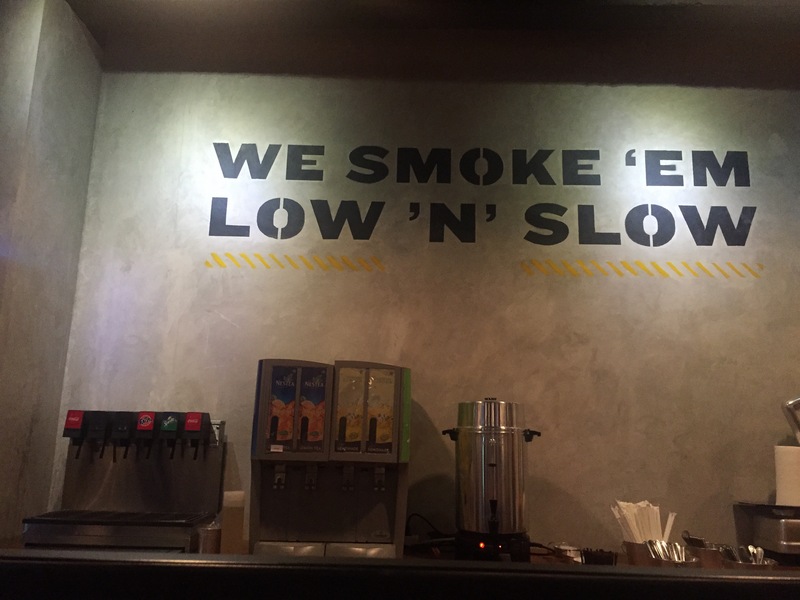 So far the best BBQ joint in Jakarta, a decent substitute to Phil’s BBQ in California. Author ChristaPosted on August 17, 2015 August 17, 2015 Categories ReviewTags eat out, food, jakarta, review24 Comments on Holy Smokes! 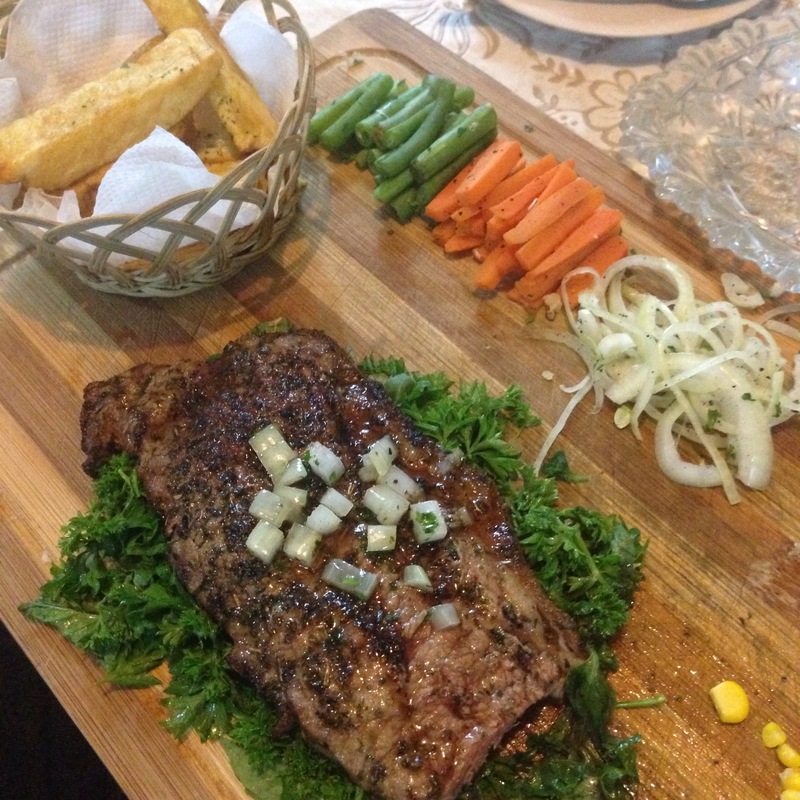 Hidden in a residential area in South Jakarta, lies a restaurant which sells nothing but steak, called Super Steak! 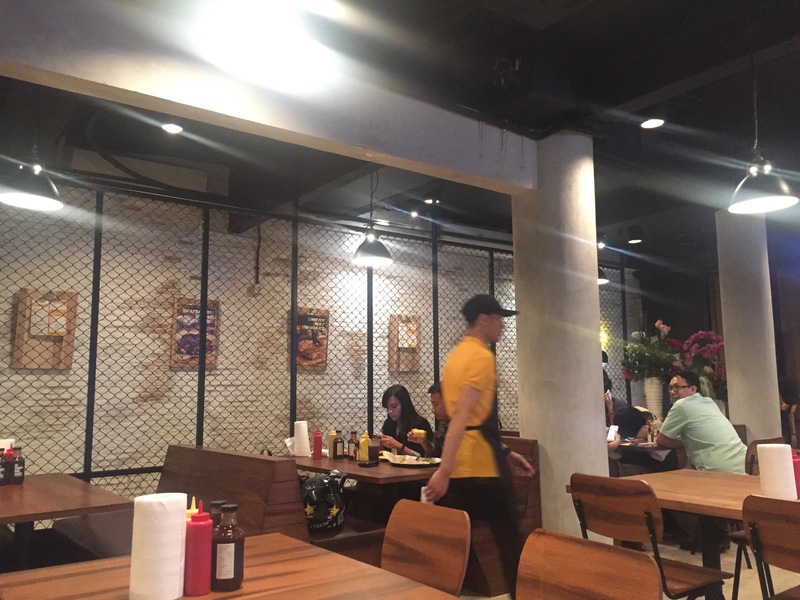 The restaurant is located in someone’s garage, it has nothing much to offer in terms of the place – no fancy interior, plush sofas, not even AC! It offers only basic tables and chairs, around 20 seating maximum. But, don’t be fooled by the minimal interior.. what they offer is, perhaps, one of the best steak I’ve tasted in town! 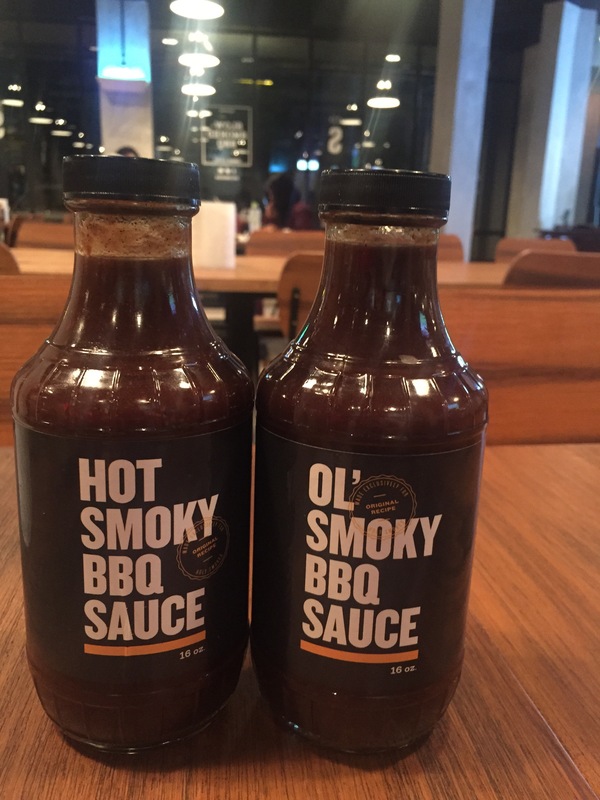 There’s nothing much written in the menu, no fancy names, no extravagant dish name – to order, simply pick your type of meat (Angus, Super black angus, or local prime) and pick your choice of flavor.. now about the flavor. They have 8 choices of flavor ranging from butter garlic to beerloin(!!!). I went there my mum and brother, each of us ordered different flavors of steak. Mine was sirloin angus 200gr with lemon herbs flavor. My brother ordered the same sirloin but with lemon herbs part II flavor, pictured below. What’s with the part II? so.. while the original lemon herbs “only” has, well, like its name, lemon and herbs.. lemon and herbs part II has also olive oil and extra fresh herbs under the steak.. which makes it more flavorful and juicy! I personally think that lemon herbs part II is better than the lemon herbs. Just look at the picture above.. that’s the lemon and herbs part II steak. Trust me it tastes as good as it looks! What I also like about Super Steak is the fries. Big, chunky fries, which looks like it’s freshly cut. Not the frozen fries that we often get when ordering steak nowadays. I’m definitely coming back (still want to try the beerloin.. hehehe), and I think you should try it out (if you haven’t)! The US Trip: Food Fiesta! This is the eighth post of ” The Us Trip” series. To read other posts in this series, click here. I visited KogiKing right after I landed in LA. In fact, it was my first meal after more than 10 hours flight. I’m already a big fan of meat and Korean BBQ, plus I was so hungry and tired from the long journey, so I was so excited when I found out that this restaurant offers all you can eat buffet! I actually forget how much did it cost per person, but I’m sure it’s below $20. I think it’s somewhere between $15-18, which I think is a very good deal considering it would normally cost me around $15 when I eat Korean BBQ in Jakarta (not all you can eat). 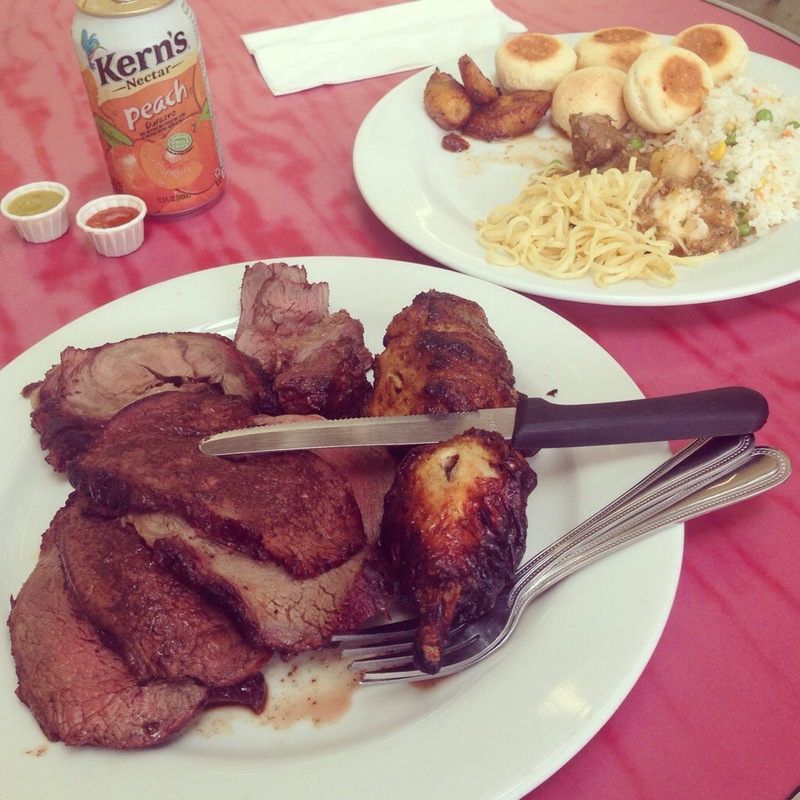 If you’re into meat, this is a must visit as they serve high-quality meat. If you still have some room in your tummy for side dish, do try their kimchi “lunch box” which I supposed resembles old school Korean lunch box (not Korean so I’m not sure.. hahaha). Although not my very favorite dish, the lunch box is indeed a unique dish because it’s not common in Jakarta’s Korean restaurants that I’ve been. Still in downtown LA, Fred 62 is a typical American Diner that you’d normally see in the movies. It opens 24 hours every day… in other words, they never close! I visited Fred 62 twice during my stay in LA. The first was for breakfast where me and my friends ordered two of their breakfast menu to be shared (For me, their portion is quite big so it’s safe to share). It was delicioussss! 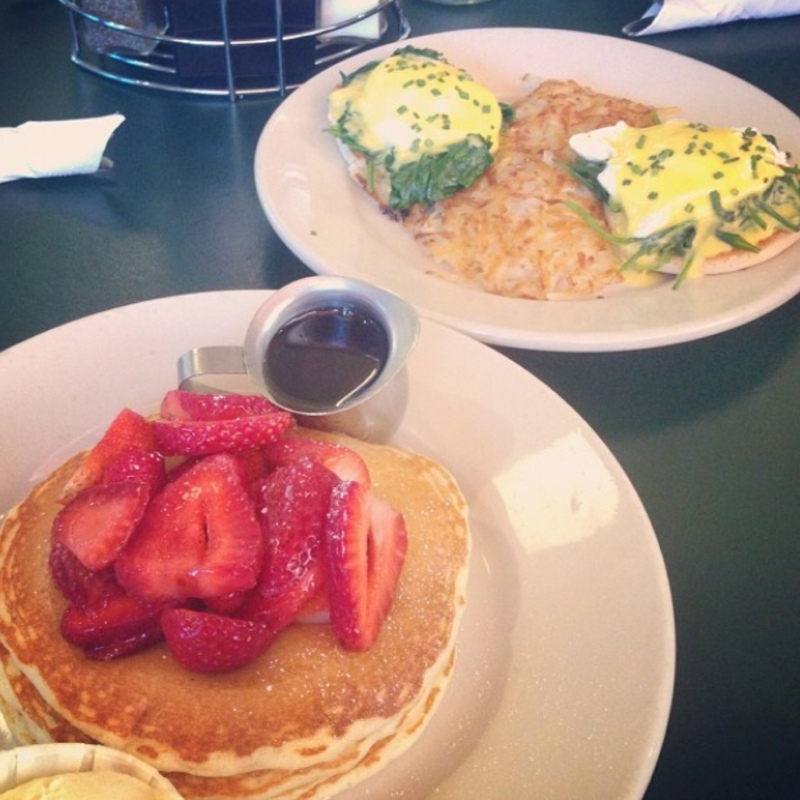 Then I came back again a couple days after for a late night snack after going to Local Natives’ concert. 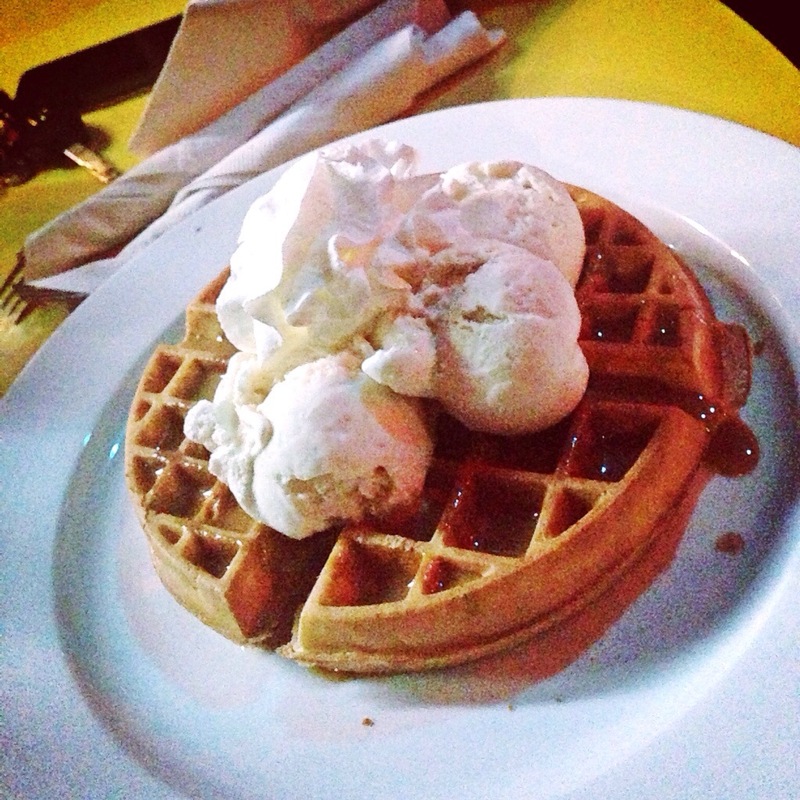 This time I had their famous bossa nova waffle. Now I’m talking about serious waffle business here. Their waffle was sooo good, fluffy and crispy at the same time. Oh, one other thing! Not only they have excellent food.. Fred 62 is also the location set for Hollywood movie and TV series. You might find it familiar if you have seen the 2009 movie Spread and have been following Dexter the TV series (season 6). 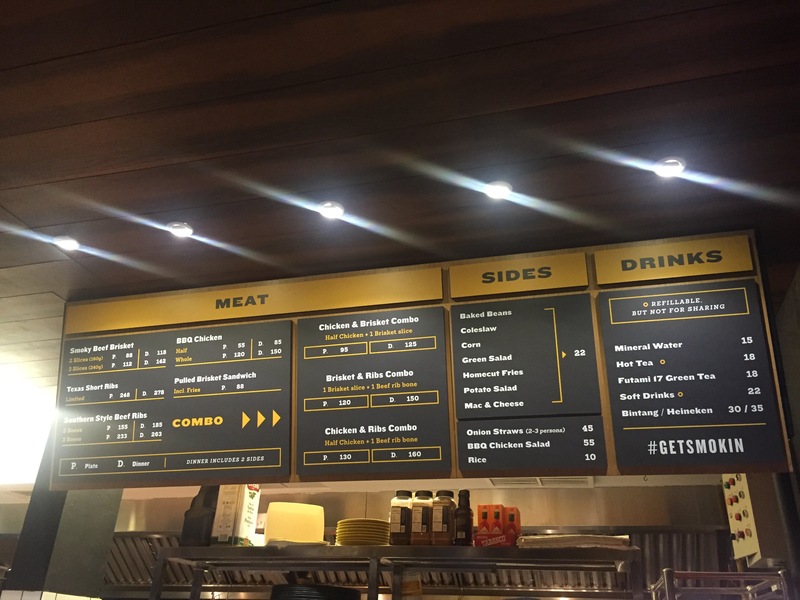 Another burger joint, this one serves more fancy and unique menu. One of the must try is their truffle burger – with truffle cheese and truffle glaze. 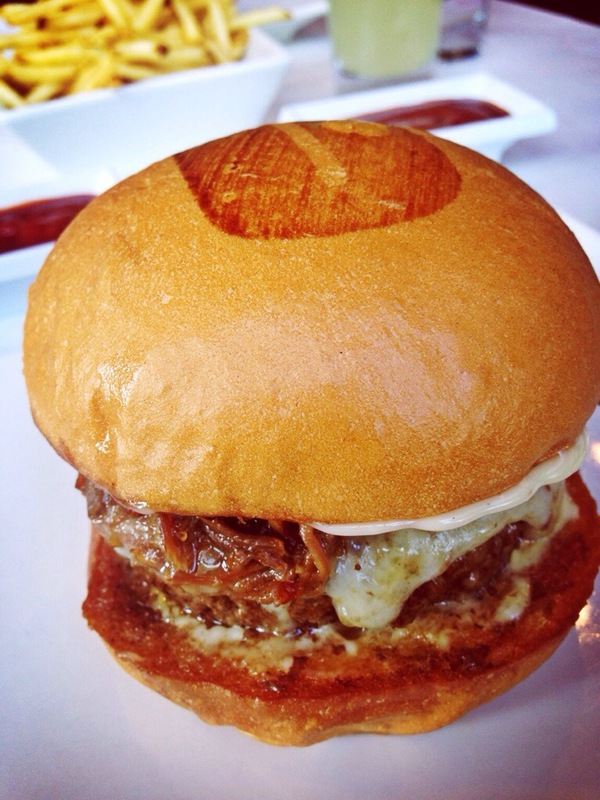 However, since I visited their Santa Monica branch, I tried the branch’s specialty instead – Oxtail Burger. It’s basically a beef burger with shredded oxtail and truffle cheese topping, which was soooo gooood. 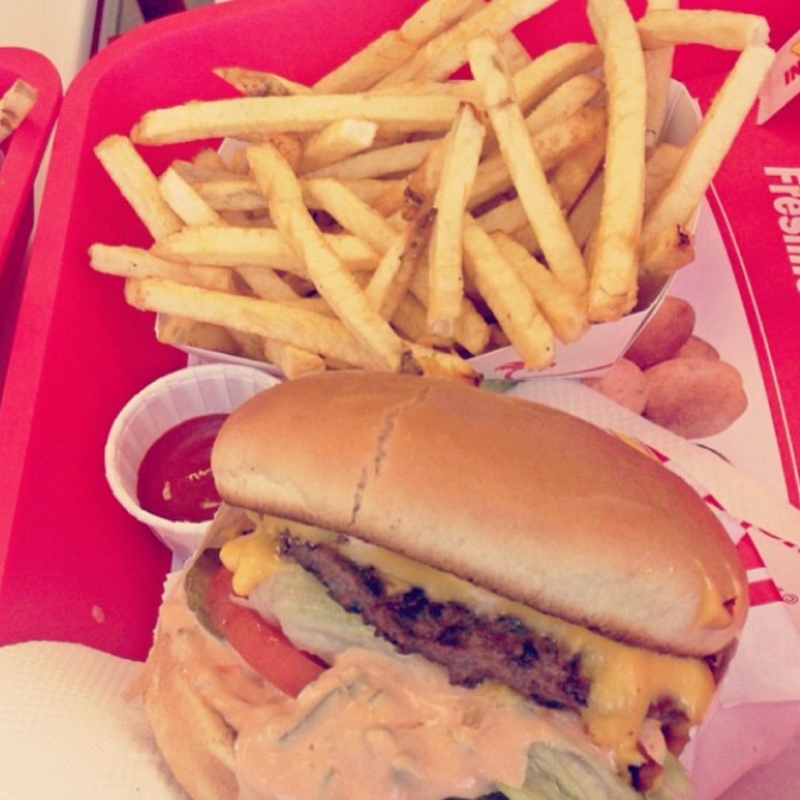 If I told you that In – N – Out is a total yum, this one too! They can’t actually be compared, both has different taste. But let me put it this way, try In – N – Out for a classic American burger, but don’t forget Umami for a feast of toppings. Though it is originally a chinese – seafood restaurant, I visited only for their dimsum. 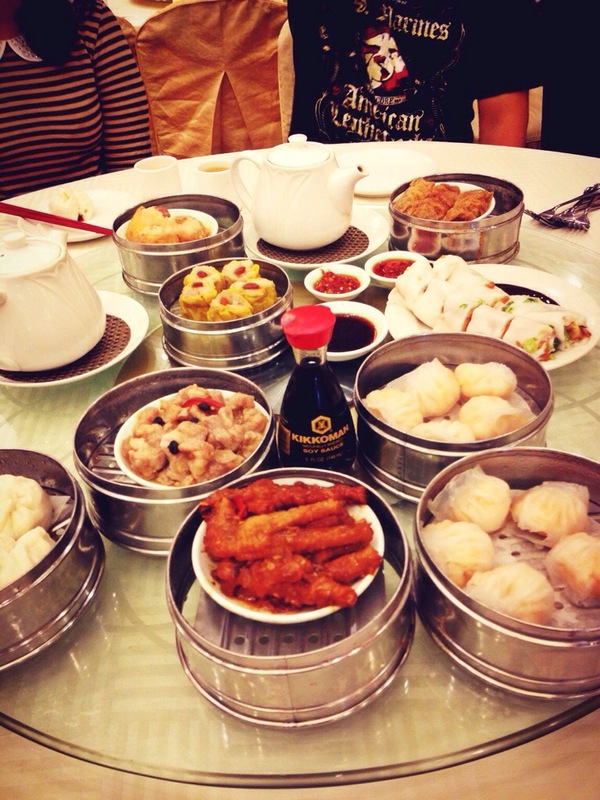 Dimsum is only served there from 8AM – 3PM. Since they are quite famous in LA’s chinese food scene, be prepared to queue when you’re going there. The queue will be worth it though, they serve an extensive selection of yummy dimsum.. Located inside Mitsuwa Marketplace in Costa Mesa – Orange County, they serve the BEST beef tongue plate that I’ve ever tasted. It is juicy, tender, and very flavorful. Beef tongue is getting more and more popular in Jakarta’s Japanese food scene and I can tell you that no one tops Gyutan Tsukasa so far. This restaurant is originally located in San Diego. I did not get the chance to visit San Diego though, but I managed to visit their San Marcos branch. Serving American classic BBQ, their ribs is to die for!!! It is voted top 10 restaurants in San Diego, so be prepared to queue. Don’t worry, the queue will be worth it! Serving Cajun style seafood.. this is truly the place to have seafood fiesta. 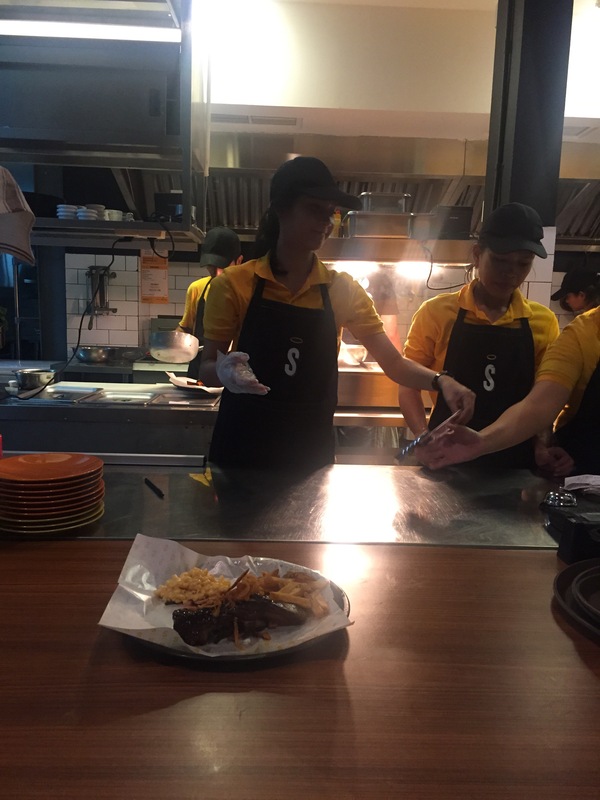 Their specialty is the seasonings, and I had the Kickin Style – Extra Mild (Hahaha.. I can’t eat spicy food). Basically you pick your seafood of choice, pick one of the available seasonings and your spice level. They have Lemon Pepper, Cajun, Louisiana, Garlic Butter, and last but not least.. Kickin Style, which is a mix of all the mentioned seasonings. You can also choose some extras, and I would recommend you to choose corn on the cob and garlic noodles for a different experience of eating seafood. If you have been reading this post and my blog.. you’d know that I’m no Vegetarian nor Vegan. However, my boyfriend successfully persuaded me to visit this restaurant – a Vegan restaurant. At first I felt hesitant, because I’ve never tasted Vegan food before, nor am I used to the lifestyle. 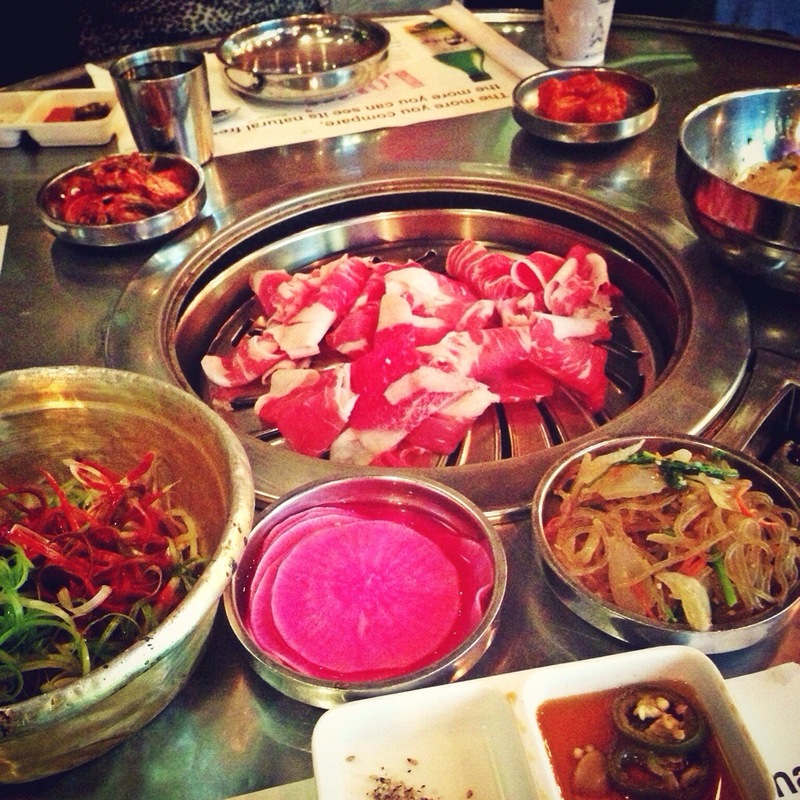 But I finally visited just out of curiosity… and I have to say that the food was delicious! It might not be my favorite food… but it’s nice to visit for a different experience 🙂 P.S – don’t worry if you’re a first timer like me, their staffs are very friendly and would gladly recommend you some options that will suit first timers like us! Author ChristaPosted on July 30, 2014 June 2, 2015 Categories America, Review, TravelTags 2013 US Trip, california, culinary, food, los angeles, orange county, travel7 Comments on The US Trip: Food Fiesta! I think my love for this yummy buttery pastry first started when I lived in Bournemouth. There was this small French bakery near the town centre which I often visit – and even though I had eaten croissant before, the croissant there was the most delicious that I’ve ever had! Now, as I am back living in Jakarta, I often feel the crave for good croissant. 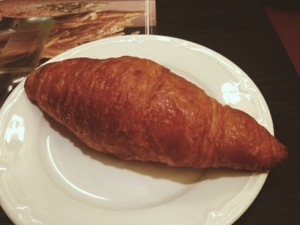 It’s not a hard thing to find a bakery/cafe which sells one, because croissant is such a common menu in bakeries/cafes. BUT… not everyone can make a good one. Especially in here in Jakarta. So, I’m doing a croissant quest! I’ll review as many as possible in my quest of finding the best croissant in town. Let’s start with PAUL Patisserie. This bakery is located in Pacific Place, Jakarta Selatan. This one is a renowned bakery from Europe, and I am already familiar with their hot chocolate which I often bought when in London. Here, the croissant is priced at IDR 18k. It looks ordinary, altough seems perfectly baked. But, it tastes good – crunchy and crispy outside yet moist inside. It’s quite buttery too, and I like it for that. I give it 3.5 out of 5 stars. However…. I actually bought two of them , 1 left intentionally to be eaten the next day for breakfast. What happened was really surprising though. The croissant became SUPER EXTREMELY MOIST AND BUTTERY – I have to use capslock so that you can get a sense of how good it was. Really, I died and went to croissant heaven. Try it for yourself, buy the croissant, leave it overnight in your cupboard and eat it without reheating it the next morning. SUPER DELISH. I give it 5 out of 5 stars! Paul’s Croissant – the morning after! 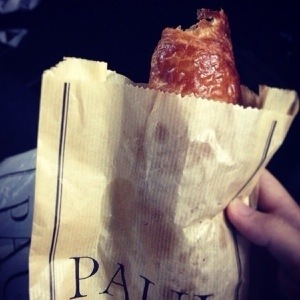 Conclusion: Paul’s croissant tastes SO MUCH BETTER when left overnight – it deserves 5 stars, no doubt about it. See you on the next Croissant Quests!